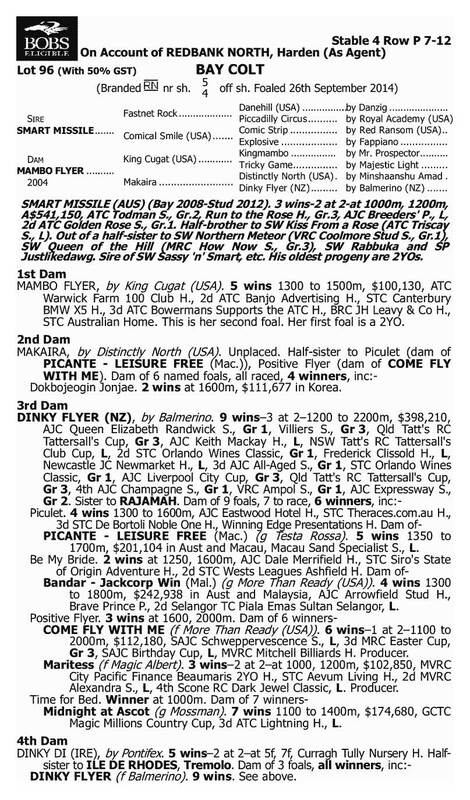 Spicer Thoroughbreds would like to present our latest offering for the 2016 yearlings sales season, this strapping colt by the boom sire Smart Missile, out of the quality race mare Mambo Flyer. 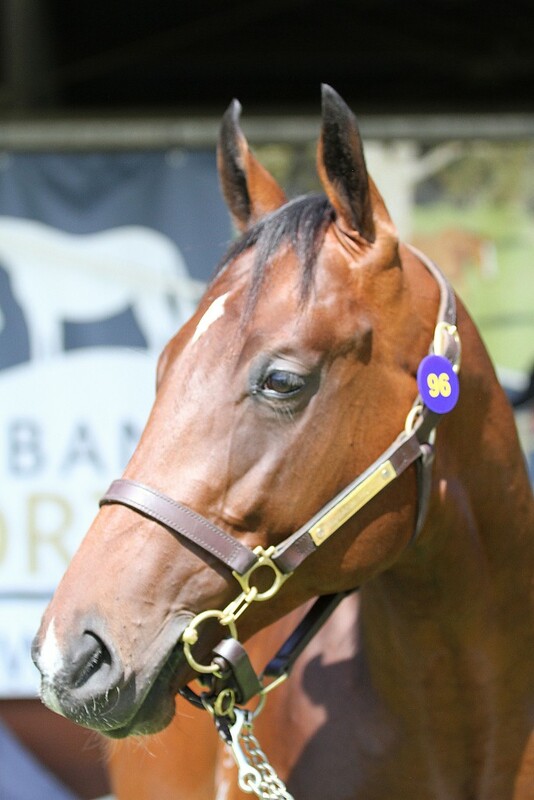 Mambo Flyer is a multiple city winning mare who accumulated a very tidy 6 figure sum in prizemoney during her 25 start career. It’s not often a colt captures your attention at the sales like this boy did and to see him in the flesh you will see why I have this opinion of him. He oozes quality but most importantly he has the aura all our Group 1 horses have possessed. The Smart Missile progeny are coming into their own now and my take on them, based on the trials I’ve closely viewed in both Sydney and Melbourne, indicates a plethora of top line horse’s about to kick off their careers in the coming weeks. Smart Missile is so much like his father champion sire Fastnet Rock who at the end of his first Autumn 2yo runners we were all lauding their precocious talent. 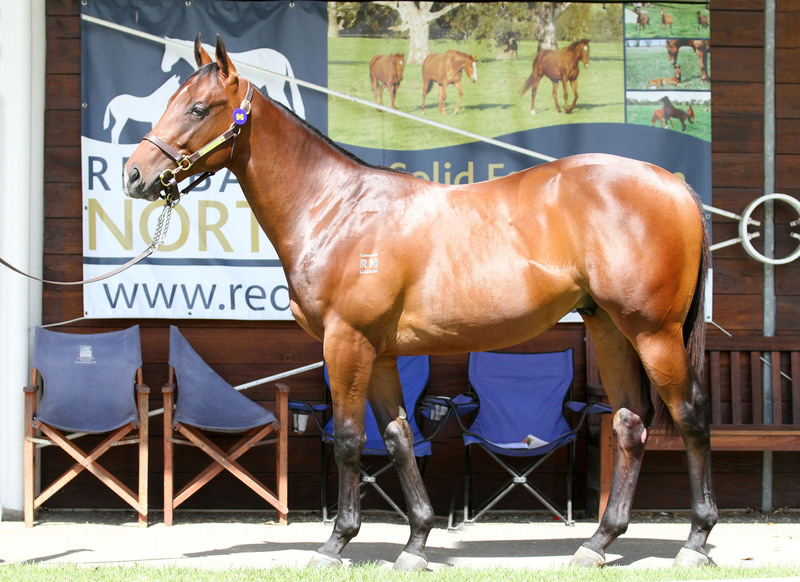 To me Smart Missile will prove to be the next superstar sire & emulate his father as our country’s premier sire. Timing is always sweet and we are buying the Smart Missiles before the market has fully recognised him and I expect by this time next year we will be paying double for his progeny at yearling sales. Please note that Spicer Thoroughbreds charges no ongoing management fees, and provides industry leading communication including video, audio and written reports regularly to owners.